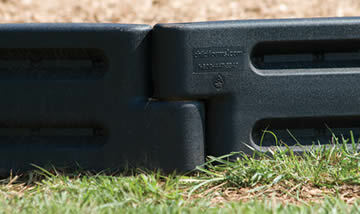 Call us today at 877-840-0707 to get a custom quote on a playground shade! We are also glad to answer any of your questions! 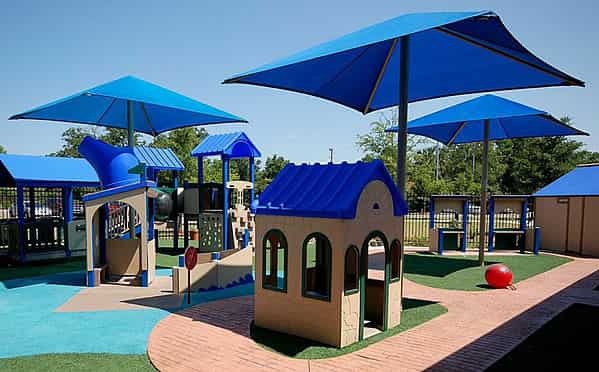 Shade structures are perfect for your playground, school, community center, business, church, organization or any kind of outdoor space. We sell a full selection of both commercial and residential shade structures. 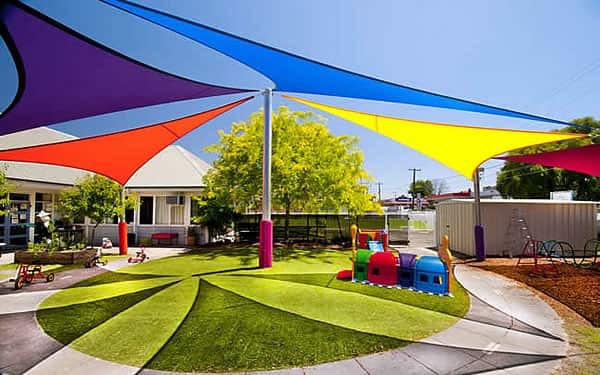 These shade canopies protect your children’s health from the damage caused by overexposure to the sun’s rays, and they provide areas of cool shade. 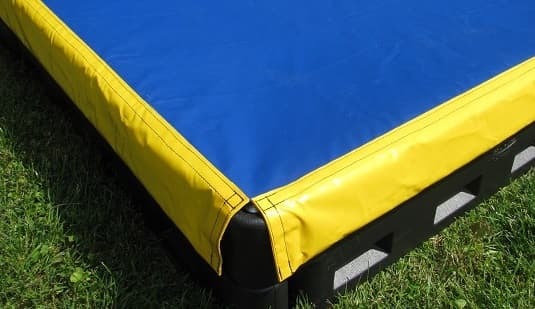 Use these sturdy shade structures to keep your little ones cool and shade them from the sun. Available in square shades, rectangles, hexagons, octagons, sail designs, and more! 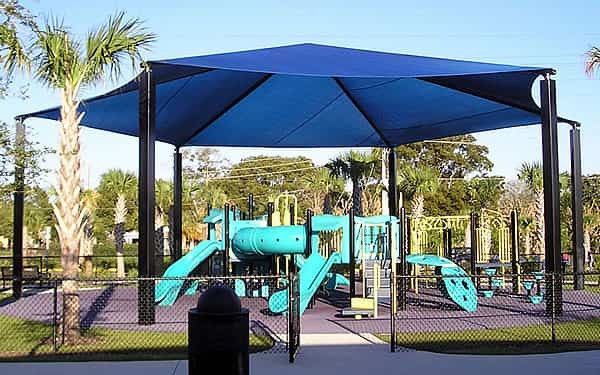 With the sun growing stronger year-round, consider one of these professional shade structures for your protection needs. For questions, please phone us at 877-840-0707. These stylish shades come in various sizes, colors and designs. 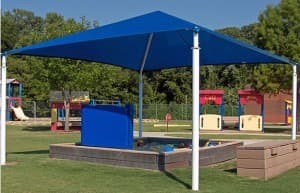 In fact, all of shade structures are custom made to meet the dimensions of your playground or outdoor area. These are high-quality shades that can withstand winds up to 80 mph and gust up to 120 mph. We ship shades throughout the United State and we also install them in Maryland, Virginia and Washington DC. Many of our customers have been schools, churches, municipalities, private businesses and more! If you have questions about any of your shade structures or need a quote, just call us at 877-840-08707 between the hours of 8:30 to 5:00 pm (EST). Because we actually install shades, we are very knowledgeable of this product and are more than happy to answer your questions. 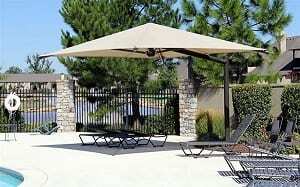 How to Purchase Shade Structures? In addition to shipping shade canopy structures throughout the United States, we also offer the professional service of installing shades structures in Washington DC, Northern Virginia and Maryland. Because we are located in Gaithersburg, Maryland, we are able to service schools, organizations, businesses and churches throughout the Washington DC metro area. We specialize in shade installation and we are happy to answer any questions whether you are local or in another part of the country.